Arsenal have moved ahead of Chelsea in the race to sign​ Nicolo Barella but Napoli are currently the frontrunners for the Cagliari midfielder who is expected to stay in Serie A until the end of the season, according to Sky Italia's Ghilda Pensante. With Cesc Fabregas on the verge of joining Monaco in search of more first team football, Blues boss Maurizio Sarri reportedly wants a replacement in order to have a sufficient amount of options in the middle of the park. 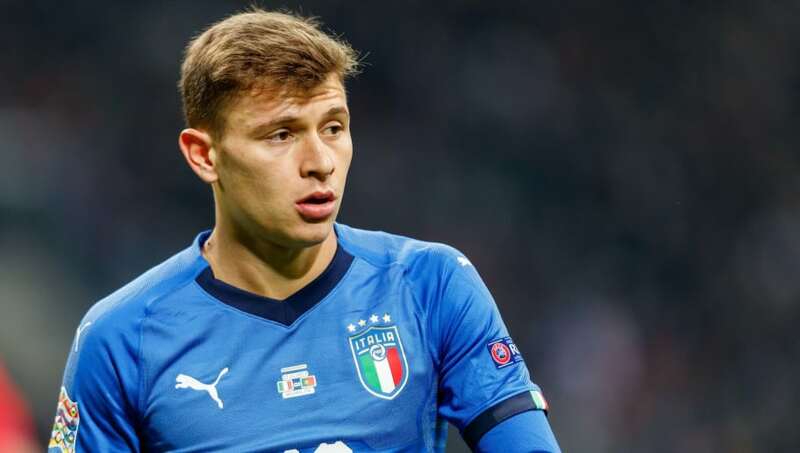 There has been plenty speculation suggesting Barella will move to Stamford Bridge in a deal worth £45m but Pensante believes Arsenal are showing more interest in the 21-year-old than their London rivals. "Barella is a very young central midfielder, who combines very good technique and strong personality," Pensante told the Transfer Talk podcast, via ​the Daily Star. "Sarri at Chelsea really likes the player, but the Premier League club we know has been showing more interest in him is Arsenal." Pensante also revealed Barella is more likely to stay at Cagliari for the rest of the season than move away and any deal Napoli propose could only go ahead if Allan leaves, while Arsenal manager Unai Emery has recently revealed the Gunners will not make any permanent transfers this month. She added: "At present we think Napoli are the advanced, compared to the other clubs. Also we know that Sarri really likes the player but Chelsea are not so convinced by him. "It’s more Sarri than Chelsea at the moment so maybe Sarri needs to convince ​Chelsea that the player is worth trying and trying again for, before other clubs close the deal." "At present the most likely option for him is to stay with Cagliari until the end of the season, but the closest club to Barella in Serie A is ​Napoli, who could only close the deal for him in January if Allan leaves them."